Established in 1977, Life Fitness is well-known as a gym and health club fitness brand. They also create cardio and strength equipment for homeowners looking for high-end exercise equipment. However, outside of the gym and health club, it is not a brand which has gained much traction with home gym users. Part of the gym acclaim comes from one of Life Fitness’ original parent companies, Bally Total Fitness. Now Life Fitness is owned by the Brunswick Corporation. 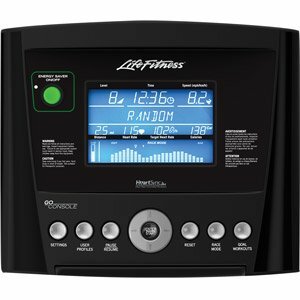 Beyond their treadmill line, Life Fitness also produces many other products such as ellipticals, exercise bikes, rowers, strength training equipment, and other accessories. As we’ve seen at Treadmill Reviews, companies who manufacture exercise equipment for gyms and health clubs generally have high prices for their residential equipment. The lowest priced treadmill in the Life Fitness treadmill line is $2,199. However, their quality construction does justify the high price tag. 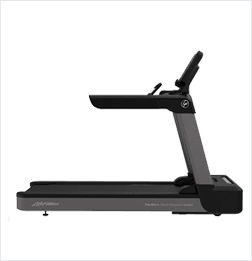 Also, like many gym-based treadmills we have reviewed, several of their treadmills give you the option to choose your console. 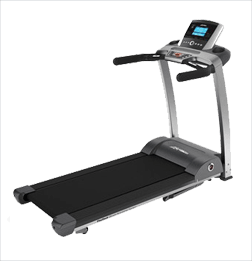 The F series treadmills are the lower end of Life Fitness treadmills, odd as it seems to call such pricey treadmills lower end. However, their specifications are not as impressive as you might expect from high-end treadmills. Their motor sizes start at 2.5 CHP, and their treadmill belts measure 20” by 55”. 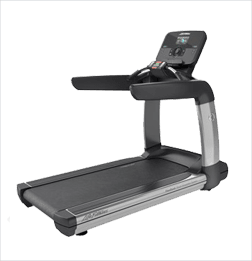 That is significantly shorter than what we expect from expensive treadmills, which the starting price for this series is $2,199, and unlike many of the other Life Fitness treadmills, both of these treadmills are able to fold up. 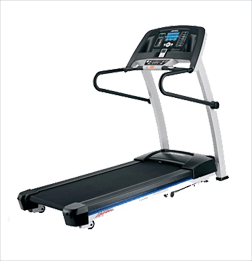 The Life Fitness T series treadmills are a clear step up in quality, which makes sense with a starting price of $2,599. Like Their motors are 3.0 CHP and can accommodate a user who weighs between 350-400 lbs, depending on the machine. 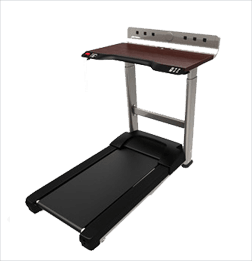 These treadmills do not fold, so be sure to have a dedicated place for them in your home. Both have a top speed of 12 MPH, have an incline range of 0% to 15%, and you can select between 2 console options. 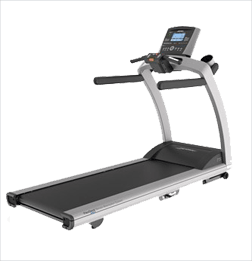 The Club series treadmill line is the sturdiest of the Life Fitness home treadmills and has a starting price of $5,499. They have 4.0 CHP motors, can accommodate a user who weighs up to 400 lbs, and have an incline range of 0% to 15%. Only the Platinum Club Series has console options. 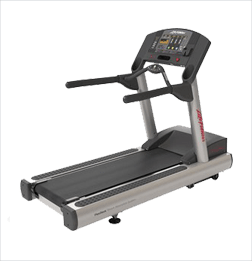 Be sure to measure carefully before you purchase one of these treadmills because they are bulky and will not fold up. As far as treadmill desks go, the Life Fitness Treadmill Desk is pretty luxurious and prices at $2,499. It has a motorized height adjustment so you can determine just which height you want to work at, accommodating users with heights ranging from 4’10” up to 6’6”. It has multiple USB ports, outlets, and one ethernet port embedded into the desk for easy access. The max user weight is 350 lbs. Several of the Life Fitness treadmills come with the ability to choose between two different consoles. 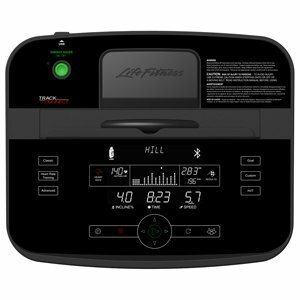 The Platinum Club Series is unique in that it has 3 console options, which are completely different than the 2 options available on the other treadmills. While we like the quality of the Life Fitness treadmills, they do come with a high price tag. Other competing brands like SOLE and NordicTrack blend commercial gym-quality with affordability. 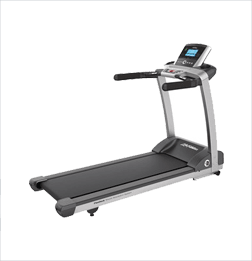 So if you are interested in a Life Fitness treadmill, be sure to compare it to a few of our other treadmill reviews before you purchase.